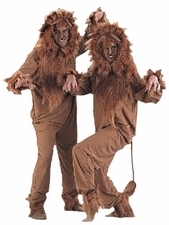 Available Sizes/Colors: Size "3-5 years" "4-6 years" "7-9 years"
Dress up as the Cowardly Lion or king of the savanna in this child size lion costume! 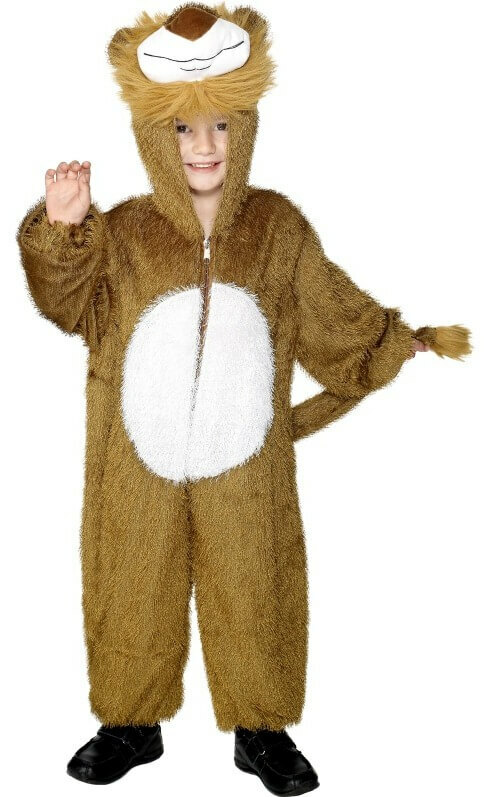 Includes a brown plush jumpsuit with attached tail and zip front, and hood with friendly lion face and ears. Size 3-5 measures 33 inches long from shoulder to ankle, chest 36 inches. Size 4-6 measures 41 inches long and chest 37 inches. Size 5-8 measures 42 inches long, chest 38. Size 7-9 measures 47 inches long and chest 38 inches.